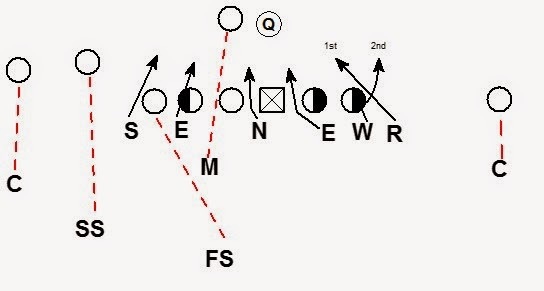 Here is a package of complementary blitz patterns from the same under front alignment. These blitzes are from the 1999 Texas A&M Defensive Playbook. 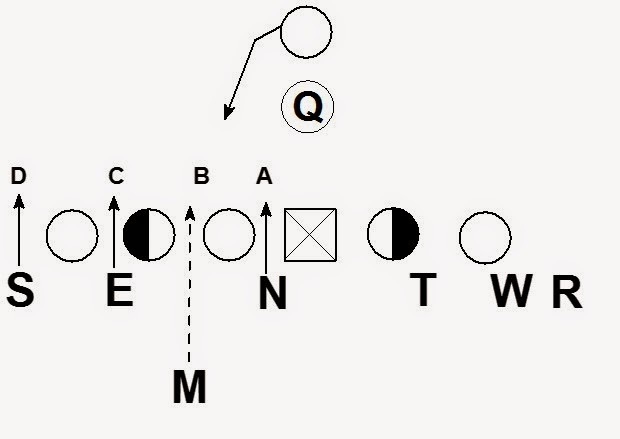 The Aggies used a 3-4 personnel but these blitzes are easily applicable to a 4-3 or 4-2 defense. The blitz concept is from the Aggie's 53 front. Against the run to the strong side the defense plays gap control. Against the pass the End executes a psycho technique to the B gap. The DE rushes from the C gap to the B gap. 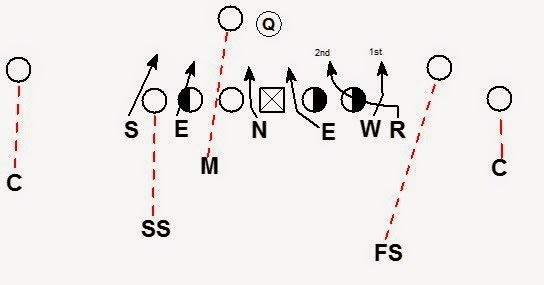 This technique helps keep the End from being in the way of the contain rush of the Sam linebacker. 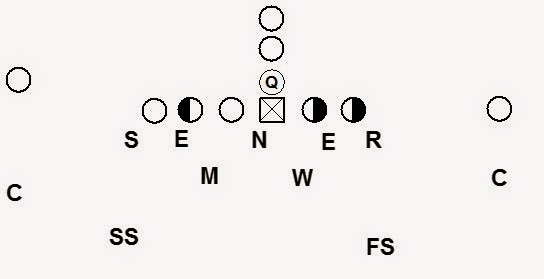 This package of blitzes gives the defense flexibility to attack the offense in 3 different ways from the same alignment. 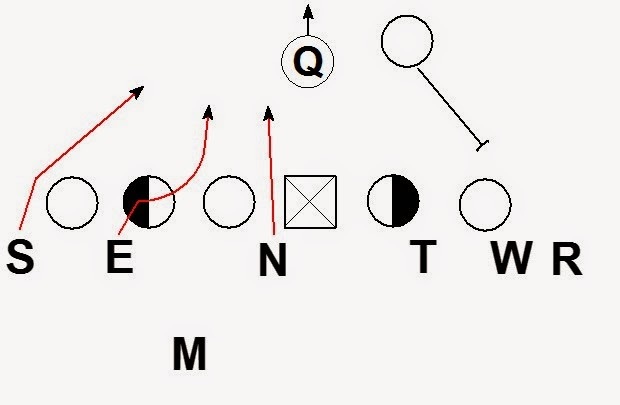 The defense could also choose to switch the alignment and responsibility of the Rush and Will.